She holds a degree in Economics and Commerce from the University of Palermo, as well as a master in Administration, Finance and Control from the Luiss Management. 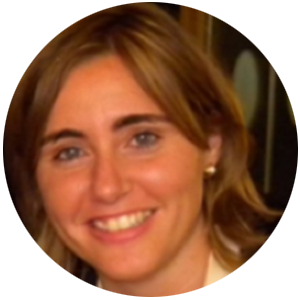 Her professional career began at the Enel Group in 2003, where she specialised in internal audit activities, covering a wide range of roles and managing the adoption of the Organizational Model ex Italian Legislative Decree 231/01. From February 2011 to July 2013 she was Compliance Officer pursuant to Italian Legislative Decree 231/01 in in some companies of the Enel group. Since 2014 she has been Head of “Sustainability Planning and Performance Management” of the Enel Group, responsible for embedding Environmental, Social and Governance (ESG) issues into business management through the definition and monitoring of the sustainability strategy at Group level; while also coordinating the sustainability planning and reporting processes in all the countries where Enel is present. She is also responsible for promoting accountability and transparency through leading the elaboration of Annual Sustainability Reports both at Group and country level. Together with the Finance and Investor Relations functions, she actively participates in the definition of guidelines and the development of innovative processes and products in the field of sustainable finance. From 2018 she coordinates the engagement with investors on ESG issues and the representation of the main listed Group companies in the most world-renowned sustainability indexes and ratings.